I always feel so lucky when I get the time to really get to know a country. There’s something special about surpassing that wide-eyed, first time visiting feeling and becoming accustomed to life in a new part of the world. You get to see the most genuine side of the people and really learn the history of the culture. There’s not many better chances to see this side than at the special days and events known to the locals and hardly anyone else. The atmosphere is totally authentic and the experience is unforgettable as a result. If you want to experience this kind of feeling, then check out some of these unknown celebrations taking place around the world. Shichi-Go-San is a rite of passage for young girls and boys in Japan, held on the 15th of November. 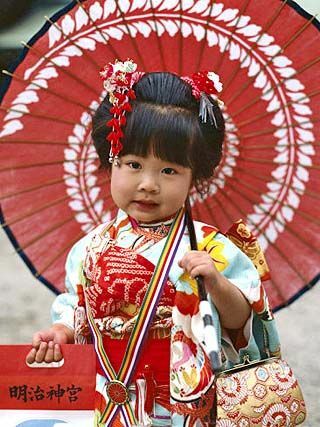 The kids dress up in kimonos and go to temple where their parents show their thanks for their birth and pray that their growth and health continues. For the kids, aged between 3 and 7, it symbolises the progress from childhood to youth. 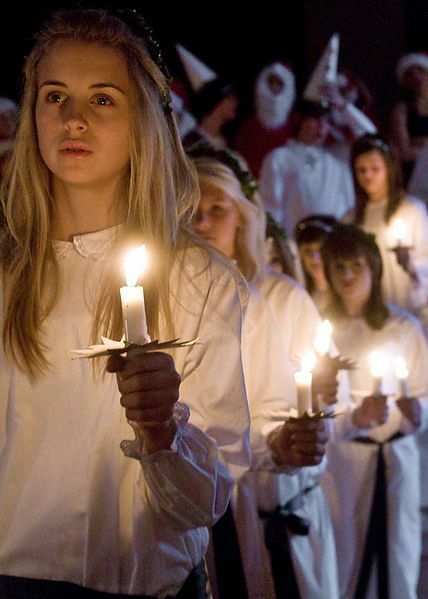 On December 13th in Sweden, a young girl from the village or area is chosen to lead a procession of youngsters, all dressed in white and holding a candle. People sing songs and eat sweet food to celebrate the saint. 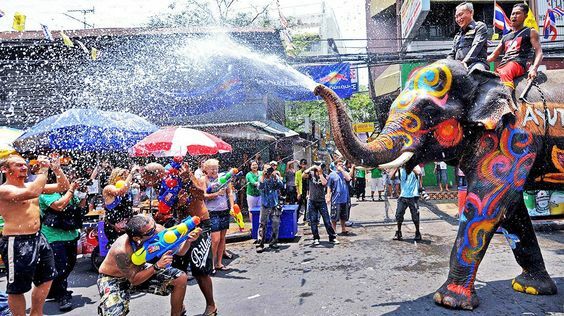 While the main point of this celebration is to bring in the Buddhist New Year, it’s often overshadowed by the spectacle of water fighting. The water symbolises purification, and everyone is invited to soak each other in a playful war of water. The statues of Buddha around the country are washed with water ceremoniously as well, but the highlight of this festival is definitely getting to soak as many people as possible. Specifically, South and East Asia, where between the 21st of October and the 18th of November lights take over, the symbolism being the triumph of good over evil. Candles decorate streets, houses and temples all over, and it really does give you a sense of a force of good being present in the area. 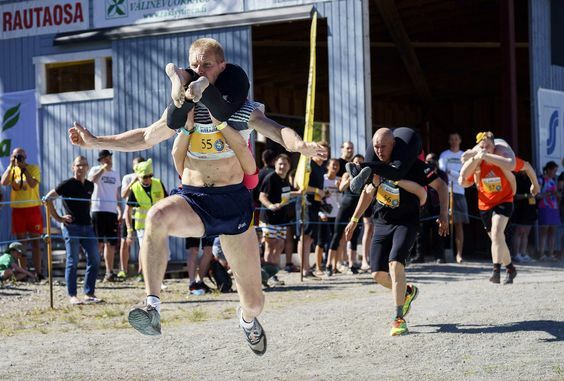 A small Finnish town is host to the World Wife-Carrying Championships in which, you might have guessed, the objective is to carry your wife to the end of the race faster than the other competitors. However, an obstacle course is also involved, making this task even more difficult than it sounds. It celebrates the Viking tradition of taking the neighbours’ wife by putting her over his shoulder and running off.